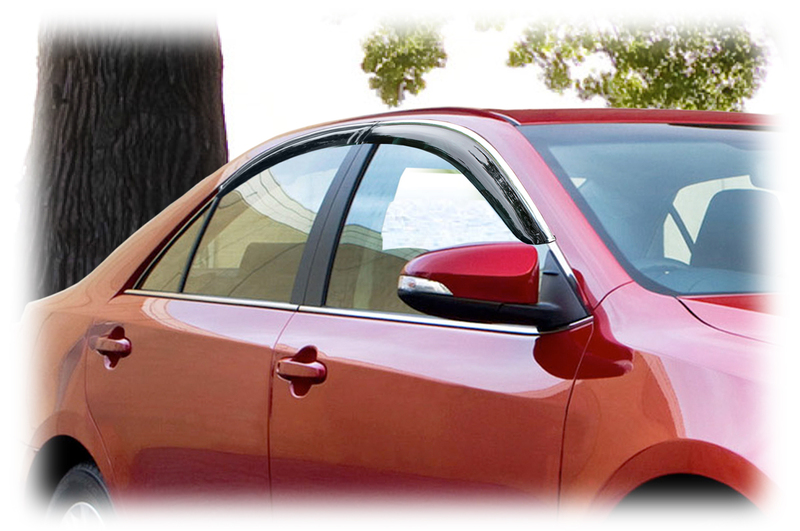 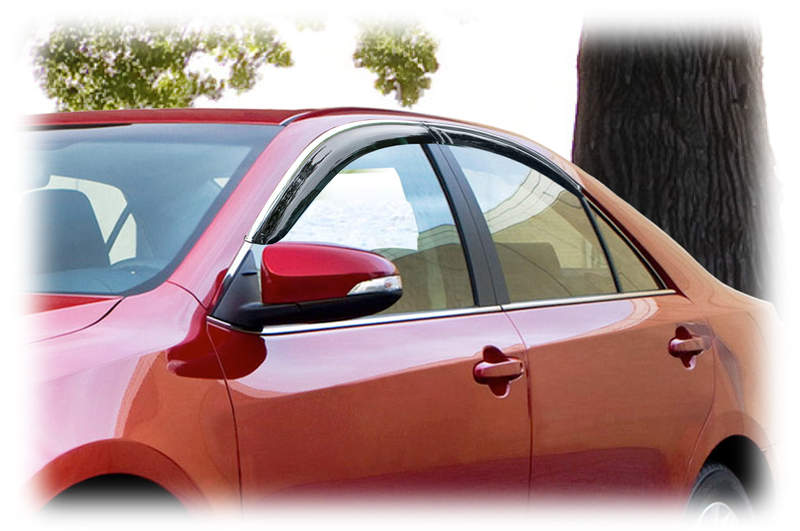 Window Visor Rain Guards for 2012, 2013, 2014 Toyota Camry with Perfect-Fit® Chrome-style trim to match your car's design, set of four, one for each window. Also known as rain guards, wind/weather deflectors, rain/snow shades/vent shields, this accessory allows you to leave your window down slightly for efficient ventilation while keeping the weather out. 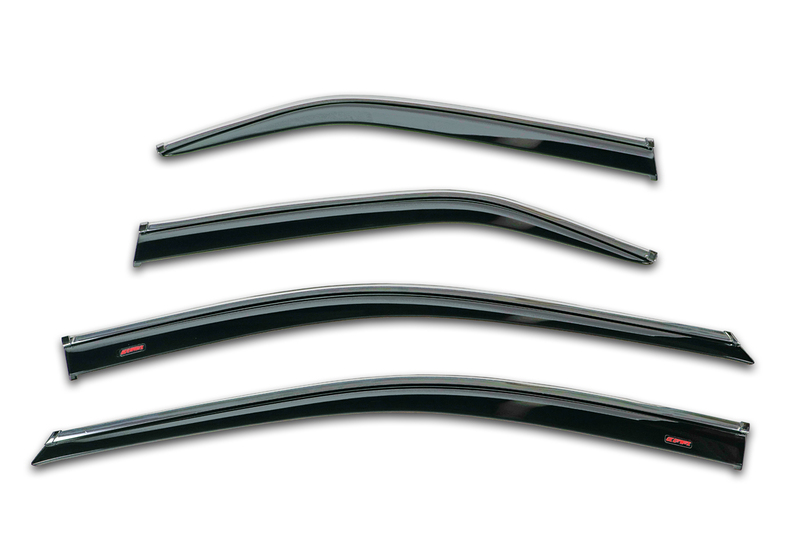 Stylish, Durable, Easy to install, Fit perfectly and best of all you won't loose the chrome trim around the window frames. Must have if you have a red Cam. 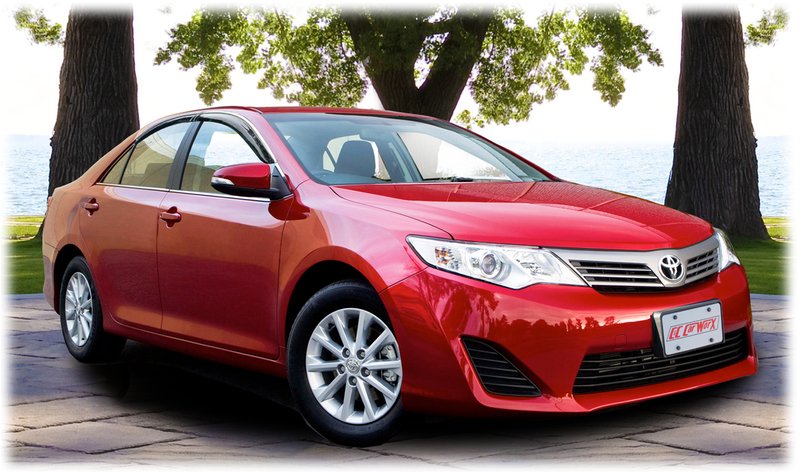 Put on wife's car 2014 camry se. 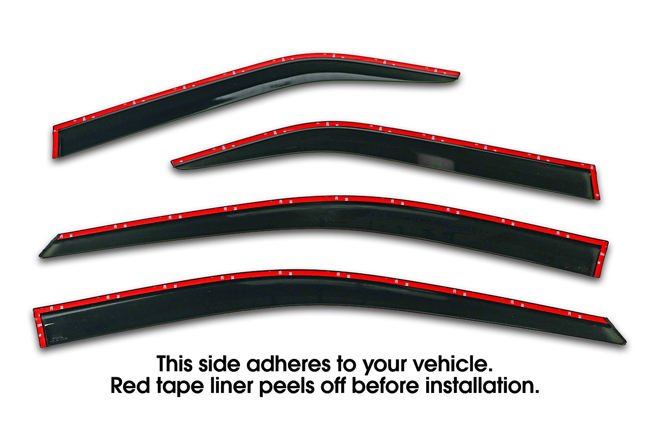 Look nicer than covering up chrome strip. A little pricey but worth it.